Septic tank cleaning in York PA and anywhere else, really, is a job best left to the experts. Septic tanks are miracle workers of sorts. Yours is out there buried in the soil in York, PA, and you hardly ever think of it. Why should you when it has served you well over the years? Well, while they are easy to bury and forget, neglect may cause some issues that will set you back tens of thousands of dollars. The septic system has been in existence for over 100 years and the design has hardly changed. Being an integral part of any real estate – whether residential or commercial – septic tanks hold gray water that is released from every part of a house or building. This water meets in the same place regardless of the source, and over time it begins to separate with the heavier material sinking to the bottom. Here, liquid scum floats and leaves the tank through built-in drainage into the absorption field where it blends into the soil, fertilizing it ideally. No worries, the design prevents it from reaching the water table. Just like a car, your septic tank will serve you better and for longer if you maintain it properly and have it cleaned regularly. The heavy sludge that settles at the bottom needs regular separation so that it doesn’t cost you tons of money after ten years of neglect. The frequency of cleaning will depend on size of the tank and material that does in there – among other variables. Current designs differ from their older models and so even the method of breaking down sludge has changed. Effective cleaning will require the services of a professional servicing company with the right personnel and equipment. When you diagnose a problem, you want it acted on fast before it escalates. We typically advise our customers to schedule regular inspections so they know the state of their septic tanks, but fret not if you forgot to get that done. Calling our offices triggers a few reactions depending on the urgency of your matter, and a team is dispatched on the same day or the next. We not only have state-of-the-art equipment for cleaning and maintaining septic tanks, but we also have a team of experts ready to act on your issue. They will find out what your system needs and recommend the appropriate action. We offer several solutions for septic tanks, from inspections and cleaning to repairs and installation – for both commercial and residential property. Your family stays healthy. When untreated seeps through the drainage to the water table, it contaminates water that your family uses, exposing you to all manner of diseases. It is cheaper – Cleaning your system regularly keeps it in great shape and will cost less than replacing it in its entirety. Property Value – a good drainage system makes a lot of difference during property valuation. Some problems need follow-up to solve completely and we offer this appropriately. 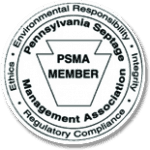 Smith’s Septic has been in operation since 1959 and during this time, we have served several residents of York PA diligently. We have built a community not only through offering great services at reasonable cost, but also nurturing those relationships with regular communication. Failure to clean your septic tank regularly could cause a big problem. Do not wait until the stench in your backyard forces you to call us. Schedule a septic tank cleaning in York PA today for peace of mind and to save you the trouble of repairing your septic tank.